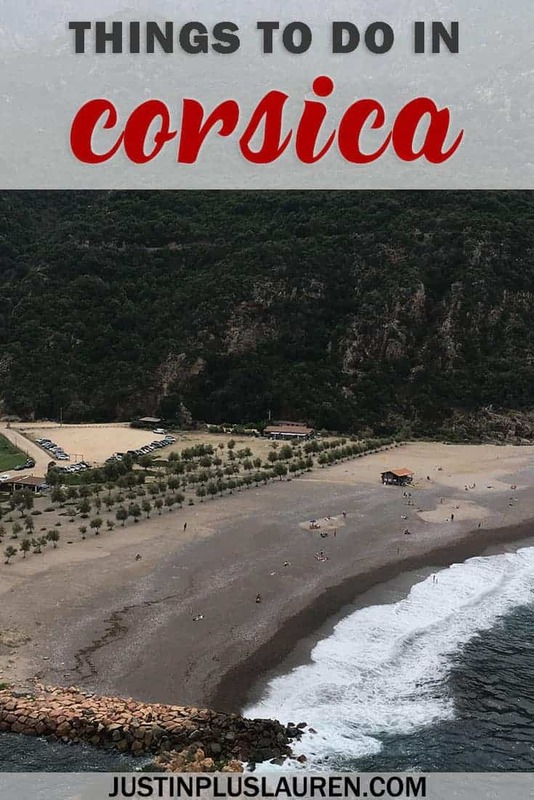 There are so many things to do in Corsica if you’re an adventure seeker. Corsica is a French island with a lot of Italian influence. Throughout history, Corsica has been under Swiss and Italian rule, but remains a part of France in modern times. 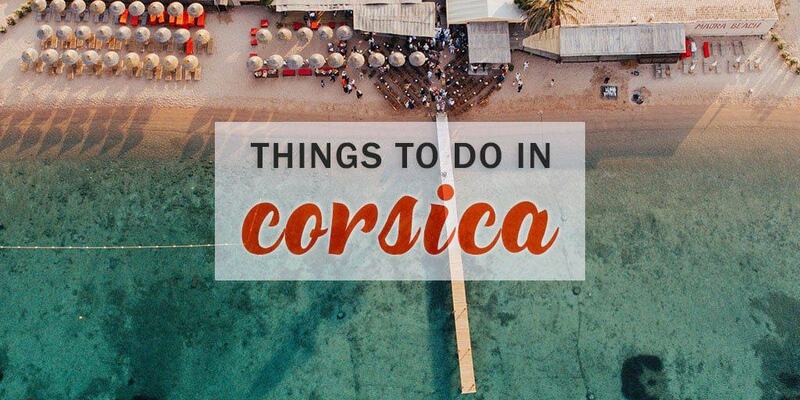 There are no shortage of things to do in Corsica, especially if you love nature and outdoor adventures. There are lush mountains, sweeping views, stunning beaches, and idyllic villages. When you visit Corsica, you’ll encounter an island with an overwhelming geographic diversity. 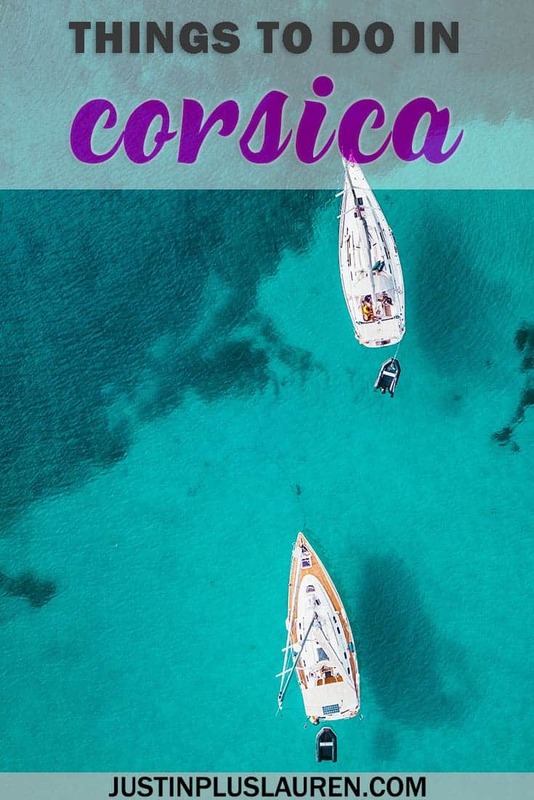 From dense forests and red boulders to glistening waters and powdery beaches, Corsica has a range of exciting opportunities for memorable adventures. Looking for what to do in Corsica in the great outdoors? One of my favorite activities while traveling is to go for a hike, preferably with epic scenery to enjoy along the way. When it comes to the best things to do in Corsica, hiking day trips top the list. The best times for hiking are from April until October, avoiding the months of July and August when the heat becomes too unbearable. Corsica is most famous for its GR 20 trail, a footpath that extends from the north to the south of the island and takes about 15 days. At 180km, it is one of the top hiking trails in Europe, but it’s also among the most difficult and grueling. 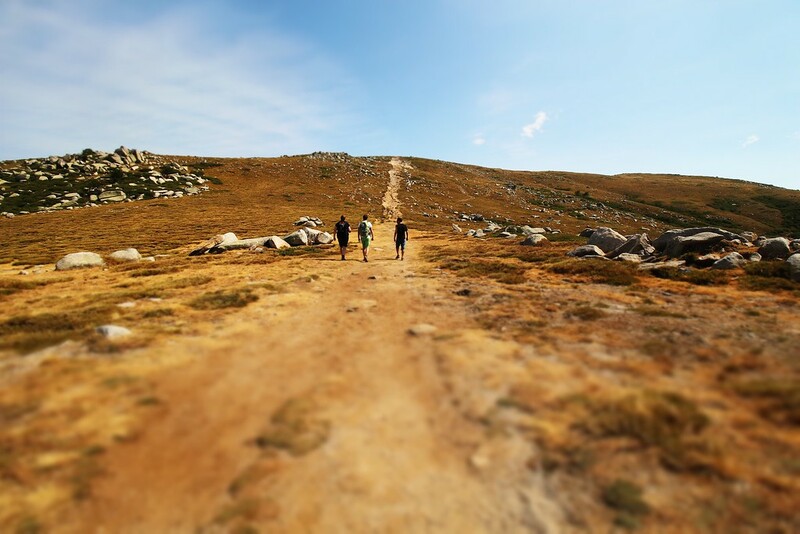 However, you don’t need to plan a 15 day journey to go hiking in Corsica. In Ajaccio, hike the Chemin des Crêtes to travel through the woods and along the coast for spectacular views of the sea. The Mare a Mare Sud traverses a variety of landscapes, including green valleys, red ridges, and elevated grasslands. No matter where you choose to go hiking when you visit Corsica, and no matter how long the journey, it will be an incredible trek. Have you ever gone sailing or tried to learn how to sail? Sailing holidays are fun for everyone, whether you’re wanting to learn how to sail or seeking training for a qualification. 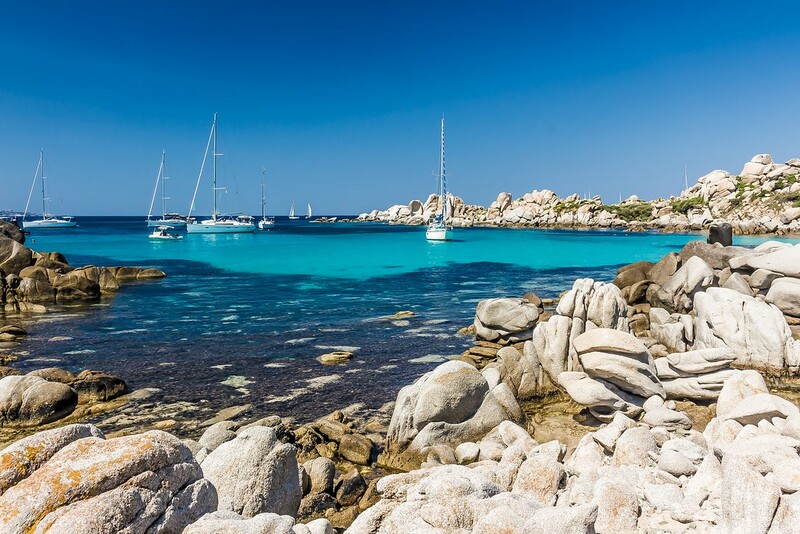 Corsica and the Mediterranean Sea provide the perfect landscape for sailing adventures and watersports. With sailing holidays by Mark Warner, you’ll learn everything from the basics of sailing to more advanced techniques, depending on your skill level. Why not learn an entirely new water activity that you can continue to perfect as you travel the world? Don’t limit your water adventures to the sea! You can try canyoning (also known as canyoneering) in the interior of Corsica, a sport that combines climbing and swimming. There are so many gorges and rives to explore. It’s best to travel with a trained and qualified guide who can assist you on your adventure, and will also equip you with harnesses, ropes, and wet suits. By canyoning in Corsica, you’ll see natural wonders that are less frequented by the tourist crowd. These waterfalls, rugged rocks, and turquoise pools aren’t as accessible, but the reward is well worth the hard work of scrambling and climbing around the boulders. Canyoning is one of the most unique things to do in Corsica and best ways to observe nature. Your trip wouldn’t be complete without relaxing on the best beaches in Corsica. 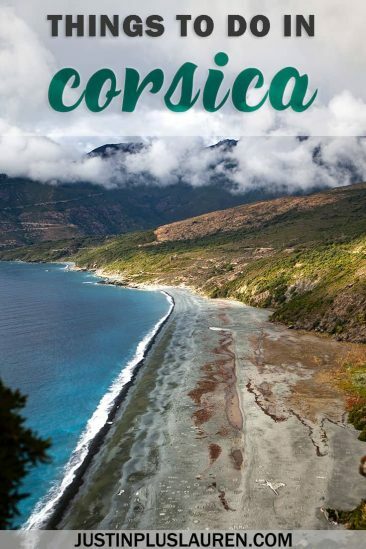 It’s difficult to choose which ones as Corsica is spoiled with beautiful beaches. Going snorkeling is one of my favorite activities when I’m traveling to tropical destinations. 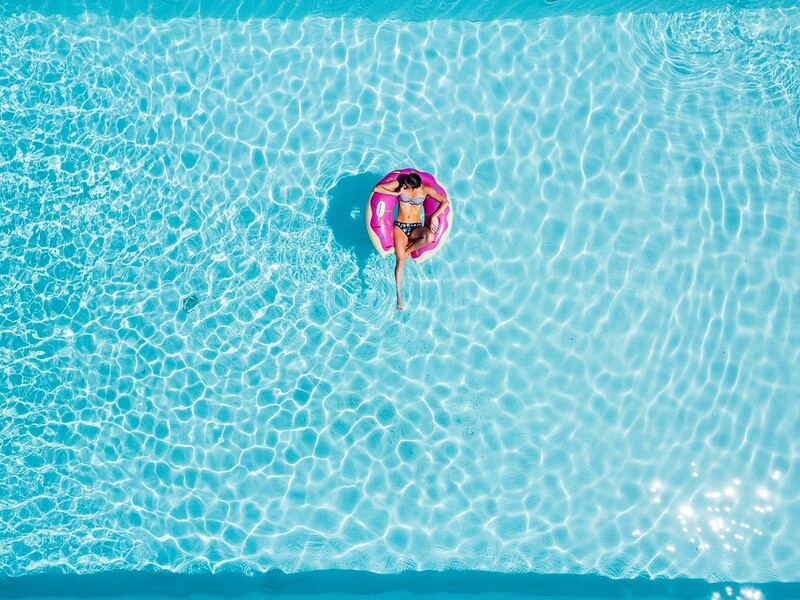 Alternate laying in the sunshine with swimming in the crystal clear waters, where you’ll find a whole other world waiting for you beneath the surface. There’s lots of colorful coral, teeming with life. Pack your snorkel mask and fins and go snorkeling off as many beaches as possible on your holiday. One of the best beaches in Corsica with an amazing snorkeling site is Rondinara Beach. Located between Bonifacio and Porto Vecchio, it’s very easy to reach, but also quite popular during high season. There are two rock promontories in the surrounding bay where you’ll find lots of underwater sealife. If you’re seeking nature that’s less visited, head to Lotu Beach. It’s situated on the coast of the Agriates desert, and you can easily snorkel by the rocks right from the shore. For a thrilling trekking experience, check out one of several forest adventure parks in Corsica. It’s great for people of all ages and skill levels. Attempt to walk across ropes, climb up nets, swing across bridges, and glide across the sky on a zipline. Try your hand at one of several circuits as it’s a fantastic way to get some exercise while enjoying the beautiful surrounding views. If you’re traveling with family members who don’t want to take part, many forest adventure parks have relaxation areas near peaceful rivers and streams. Kayaking and canoeing is always an eco-friendly adventure and a fabulous way of enjoying the coastal regions of Corsica. By gliding along the water, you can see wildlife without being disruptive. The blue water is so clear, you’ll be able to see the fish to a depth of 15 metres right from your boat. Visit spots along the coast that aren’t accessible by any other means of travel. Stop at deserted coves along the coast that are less traveled for a break, or even as a means of going snorkeling or hiking in a new area. If you’re seeking something even more adventurous, go for multi-day kayaking trips, spending the night at campsites approved by the Conservatoire du Littoral. Lastly, if cycling is your jam, check out the mountain biking trails in Corsica. 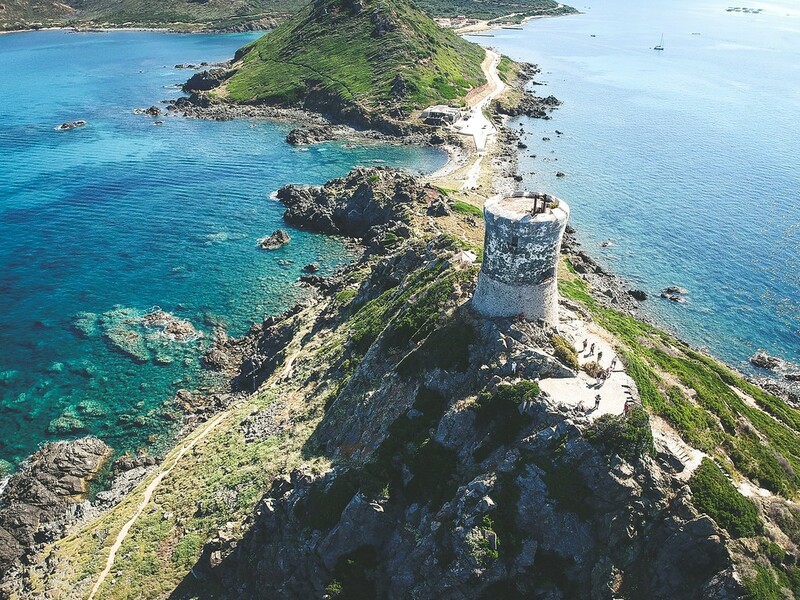 If you’re seeking where to go in Corsica for biking, try the northerly coast path known as the Sentier des Douaniers to observe quiet beaches and water towers. In the south, the Col de Bavella winds through dense pine forests. With hundreds of miles of biking trails around the coast and through the interior forests, there’s no shortage of cycling experiences in Corsica. What’s your favorite outdoor activity or adventure?